Sponsored by Physicians Formula. All opinions are my own. If you’re experiencing super dehydrated skin this season, I’ve got a treat for you. So I’ve always had combo skin, but within the past 3-4 months my skin has gone rogue. It’s the driest it’s ever been, with literal patches that peel occasionally if I forget to run my humidifier! 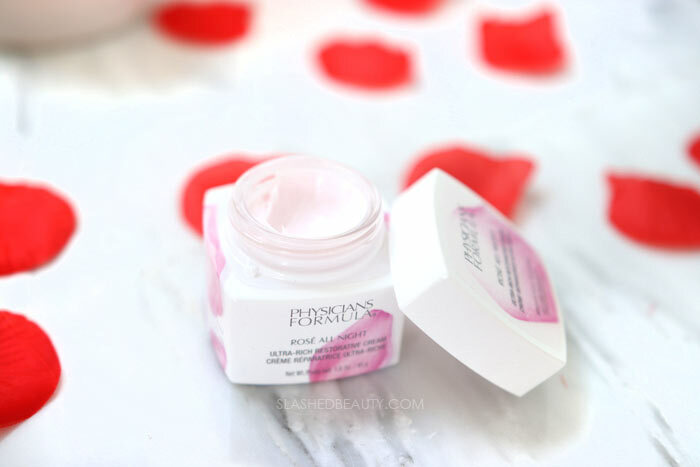 I’ve gone through about 5 different moisturizers, but only one really gave me the rich hydration I needed, and it’s a drugstore dry skin moisturizer at that: the brand new Physicians Formula Rosé All Night Ultra-Rich Restorative Cream. 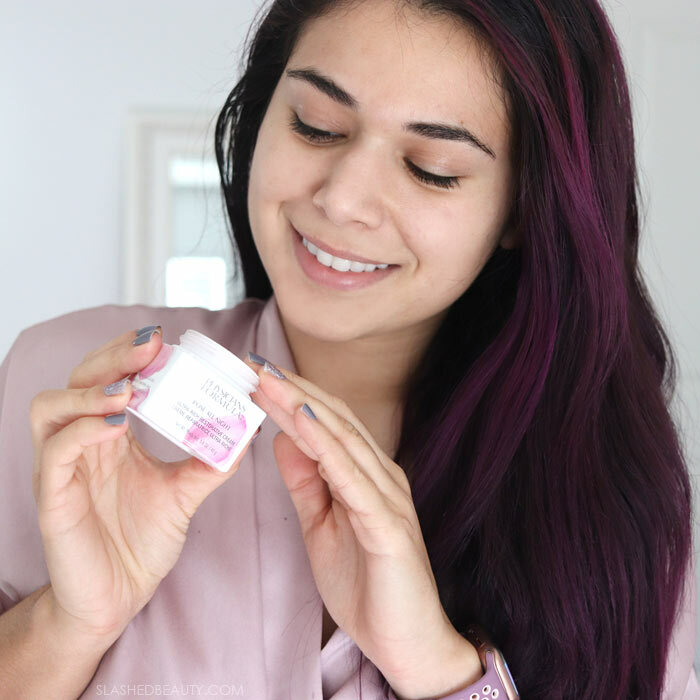 This is a new product from the brand that just launched last week, but I received a jar in advance back in December, and thank goodness I did! 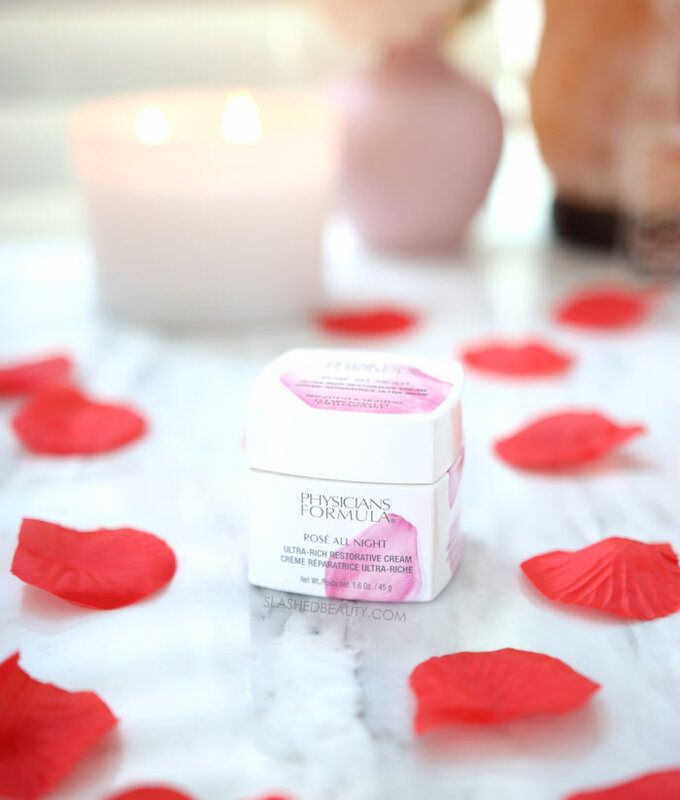 This night cream is calming and intensely hydrating, made to brighten and repair the skin with a protective barrier while locking in moisture. It has a thick texture, but my dry skin drinks it up quickly for an instantly replenished feel. It’s made with rose water to calm, kakadu plum for brightening, and sea mayweed to reduce the appearance of aging— it’s a natural alternative to wrinkle fillers! 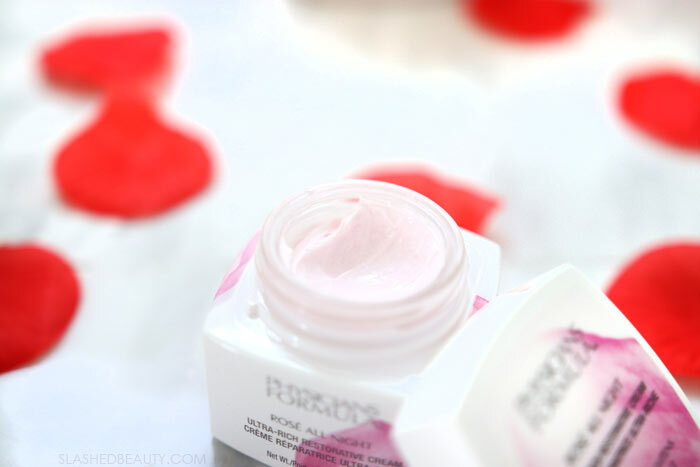 The cream has a subtle and pleasant rose fragrance, but it’s hypoallergenic, dermatologist tested and vegan. It’s seriously done wonders on my skin. I put it on as a last step to my skin care routine, over my Physicians Formula Skin Booster Vitamin Shot Brightening Serum, and it makes my skin feel nourished and smooth immediately. In the morning, I still feel very moisturized, but never greasy. Because it’s so thick, the best way to apply this cream is to work a small amount between your fingers to warm it up, and then press it gently into the skin. Before I started using this cream, I had switched to a high-end, fifty-dollar moisturizer as a last resort because my skin was becoming my worst enemy. This cream feels almost exactly like that one, if not more rich, and the results are comparable at a fraction of the cost. I can say honestly that this is probably one of the best moisturizers at the drugstore right now for dry, dehydrated skin and for those who are concerned with aging. I personally can’t speak to the skin tightening effects because I have pretty “young” skin, but I will say my skin looks and feels more plump and bouncy after I apply this night cream. My skin has been looking and feeling a lot better with the use of this night cream plus some other skin care favorites from the brand that have been catering to my sensitive skin. I finally feel like I have a handle on my skin for the first time in months. 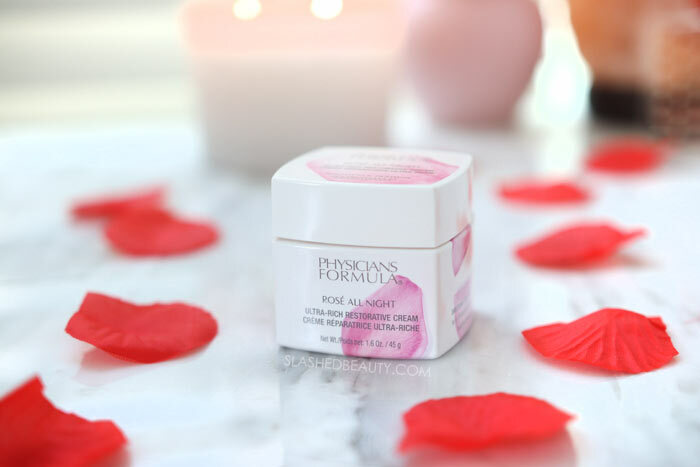 You can find the Physicians Formula Rosé All Night Ultra-Rich Restorative Cream on the brand’s website for only $14.95– score! What is your skin in need of this season? I need this in my life right now! Thanks! Awesome! So glad you found something that works for you! I wish PF wasn’t so fragranced. The raves kill me but I just can’t use it. I love Physicians Formula – one of the best cruelty free drugstore brands in the biz! You had me at “pleasant rose fragrance!” This sounds perfect for this cold, wet weather! I am going to have to look for it next time I go to CVS!